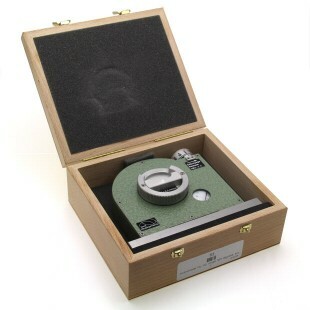 Supplied as standard with a hardened combined magnetic flat and 'V' base and a wooden box for protection. 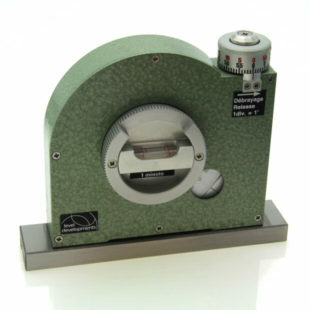 In use, the worm is disengaged by depressing the micrometer drum, and the vial assembly is rotated manually until the vial is approximately level. Fine adjustment is then made by rotating the micrometer drum until the vial is perfectly level. 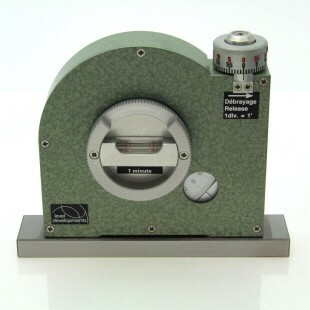 The angle is then read off the scale in degrees and micrometer in minutes.